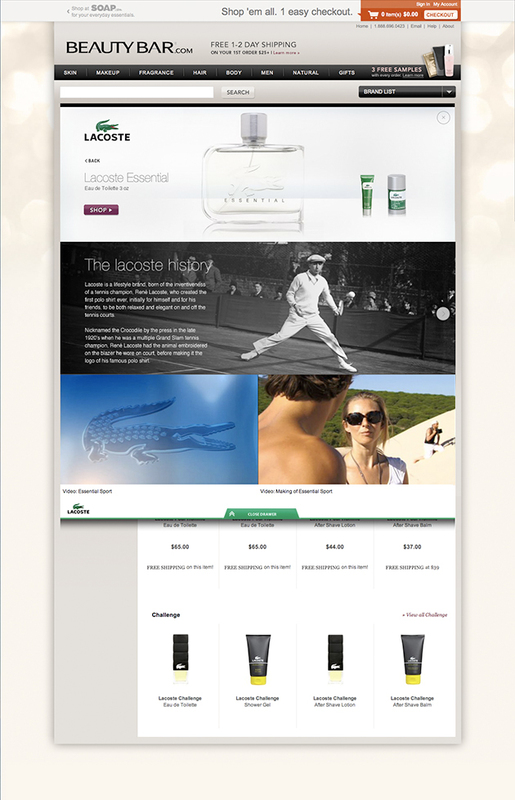 With its strategic focus on ecommerce The Shouts of Glee developed an enriched consumer experience within Lacoste brand boutique of US e-retailer beautybar.com. In addition to the usual content such as product- image or price, the content has been enriched through 360° spinning bottles, history and background of the brand, a TV commercial and behind the scene shots. The experience is complemented by a brand-oriented, intuitive navigation.